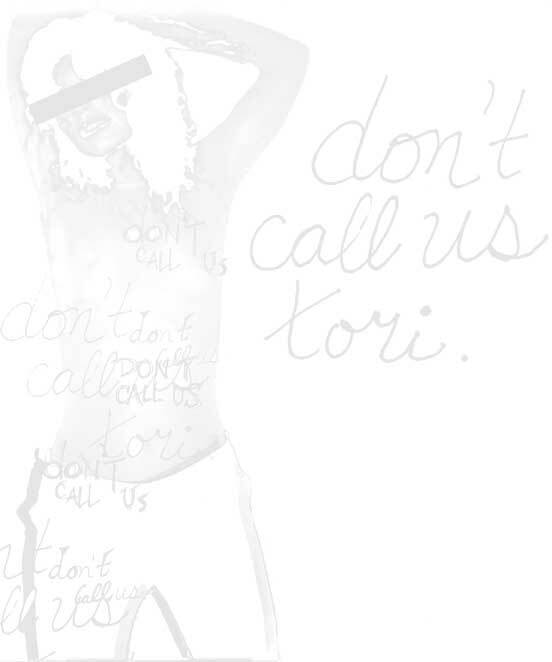 Don't Call Us Tori is a group of independent artists seeking to work together in sharing an audience. This collaborative effort would not be possible without the contributions of both the organizers and the artists who play. The name Don't Call Us Tori is not postured against any artist it infers, rather acknowledges the great influence and contribution of any such artist in defining an entire genre of music.